Number of lifetime episodes, duration of current episode, and severity of maternal depression were investigated in relation to family functioning and child adjustment. Participants were the 151 mother–child pairs in the Sequenced Treatment Alternatives to Relieve Depression (STAR*D) child multi-site study. Mothers were diagnosed with Major Depressive Disorder; children (80 males and 71 females) ranged in age from 7 to 17 years. 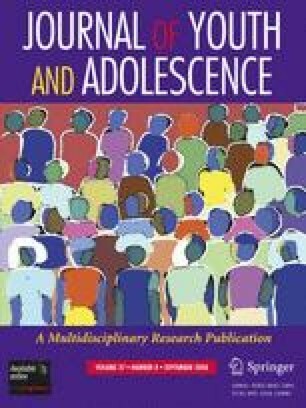 Measures of child adjustment included psychiatric diagnoses, internalizing and externalizing symptoms, and functional impairment. Measures of family functioning included family cohesion, expressiveness, conflict, organization, and household control; parenting measures assessed maternal acceptance and psychological control. Children of mothers with longer current depressive episodes were more likely to have internalizing and externalizing symptoms, with this association being moderated by child gender. Mothers with more lifetime depressive episodes were less likely to use appropriate control in their homes. We are grateful to the seven participating STAR-D Regional Centers: Massachusetts General Hospital, Boston, MA, Primary Investigator: Andrew Nierenberg, MD; University of California, San Diego, CA, Primary Investigator: Sid Zisook, MD; University of Michigan, Ann Arbor, MI, Primary Investigator: Elizabeth Young, MD; University of North Carolina, Chapel Hill, NC, Primary Investigator: Bradley Gaynes, MD, MPH; University of Texas Southwestern Medical Center, Dallas, TX, Primary Investigator: Mustafa Husain, MD; Vanderbilt University, Nashville, TN, Primary Investigator: Steven Hollon, Ph.D.; and Virginia Commonwealth University, Richmond, VA, Co-Principal Investigator: A. Bela Sood, MD. We are also grateful to Ardesheer Talati, Ph.D., Charlene Bryan, MA, Kenneth Guire, MA, and Joe Kazemi, MA for their assistance with analyses and comments on earlier versions of this manuscript. This study was supported by NIMH grant no. R01MH063852 (M. M. Weissman, PI) and by an NIMH contract (no. N01 MH90003) (A. John Rush, PI). Dr. Garber was supported in part by an Independent Scientist Award during completion of this work (K02 MH66249).